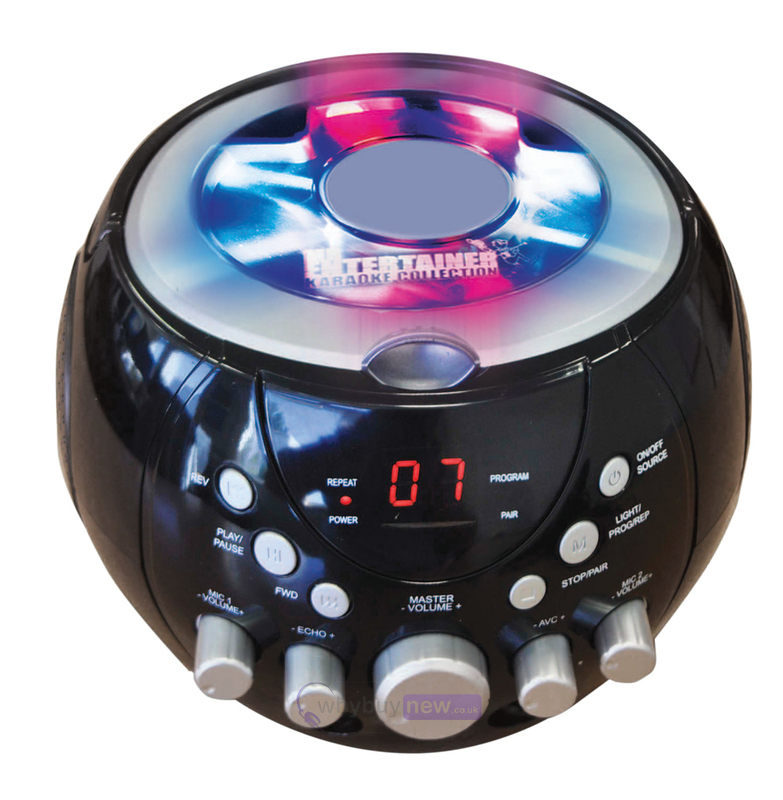 This Mr Entertainer portable CDG Boombox Karaoke Machine is Bluetooth compatible and features flashing disco lights. This brilliant value karaoke machine is great for house parties and comes complete with two microphones and one CDG with the biggest hits from 2017. 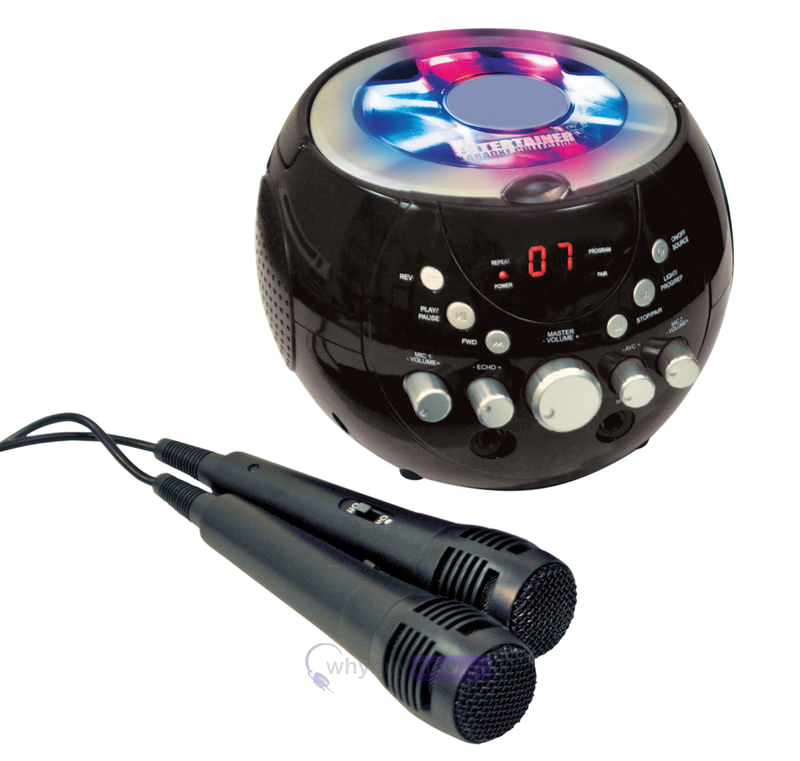 Bring out your singing star from within with this portable karaoke kit. The machine features a lightweight boombox design making it portable. 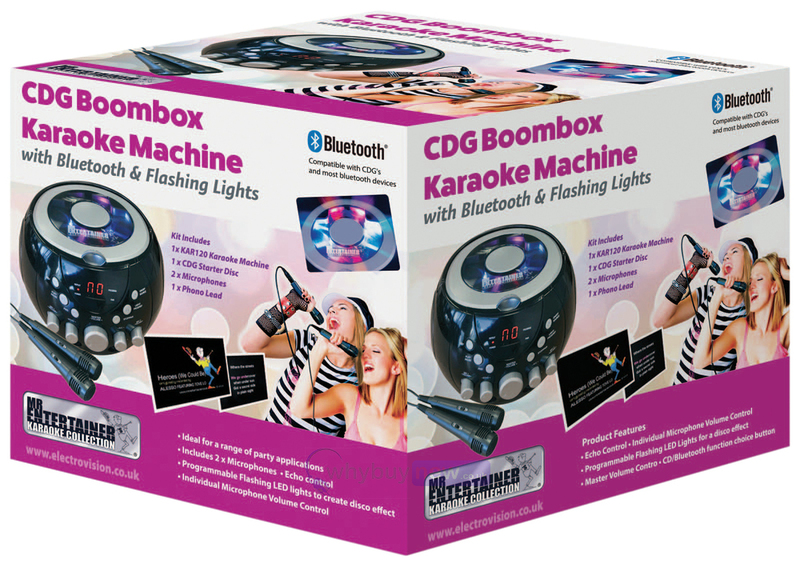 Ideal for parties, events or just singing your favourite songs at home. Includes 1 x Double CDG Mr Entertainer Popstar Karaoke Hits of 2017. 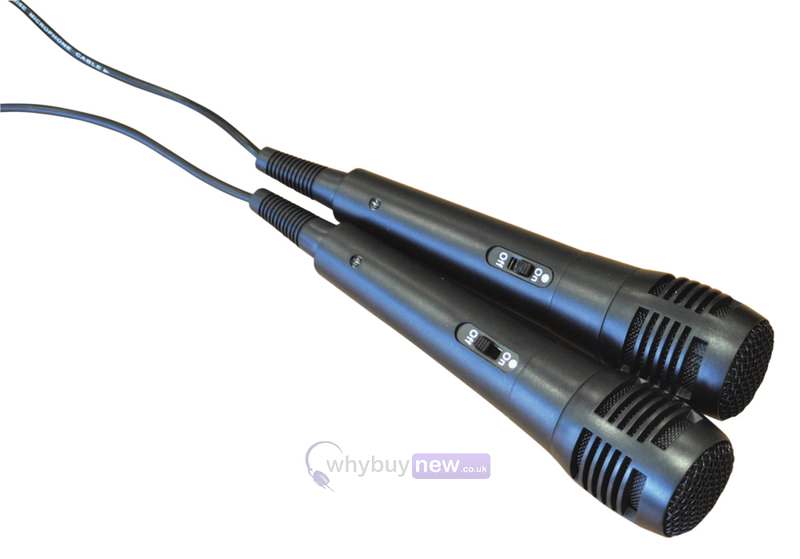 Two microphones are included so melodies and harmonies can be achieved through your own dazzling duets. On the top of the machine there are multi coloured LED lights, which help create a disco effect feel to the system. The lights are programmable with ten different light movements at your disposal. 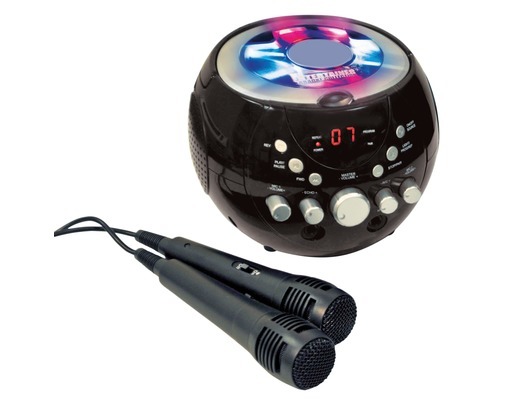 Simply use a karaoke CD with backing tracks included and sing along to your favourite hits using the internal speaker.